FIONA VELLA is a Maltese story-teller renowned for her writing in the fields of culture, anthropology, archaeology, history and travel. 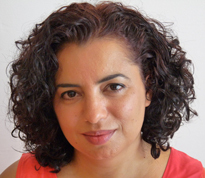 Her works are extensively published in Maltese and English, both on local print and online media. Her research and writing have also contributed to a number of local socio-cultural TV programs. She has been twice awarded the coveted Prix D’Honneur for Built Heritage Journalism by Din L-Art Ħelwa for her articles related to the preservation and conservation of historical sites. Her first two books Disappearing Malta: Crafts, Trades & Traditions, 360° Vol. I and Vol II are a collection of narratives which aim to document and safeguard the dying local crafts, trades and traditions and the lives of those who were involved in them.